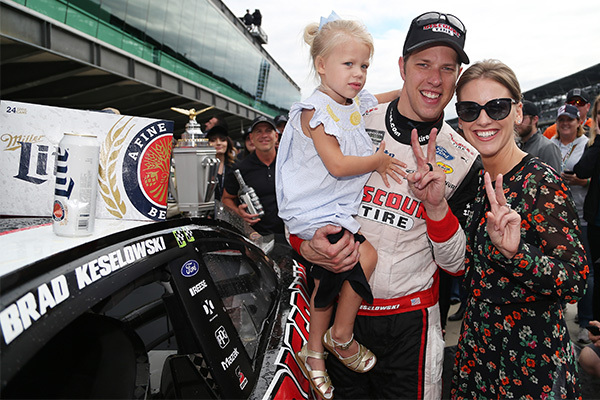 INDIANAPOLIS, IN – September 11, 2018 –Brad Keselowski won his first Monster Energy NASCAR Cup Series Brickyard 400, Monday afternoon at Indianapolis Motor Speedway. 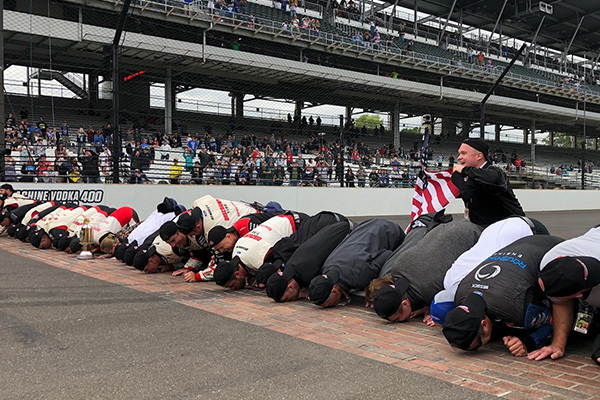 Keselowski made it an Indianapolis sweep for Roger Penske, winning the Indianapolis 500 earlier in the year with Will Power. 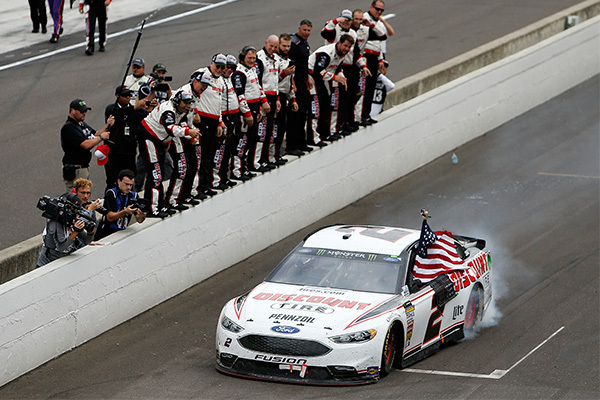 This marked the first MENCS Brickyard win for Ford Performance since 1999 with Dale Jarrett and Robert Yates Racing. “Never give up,” was what Keselowski told his team. 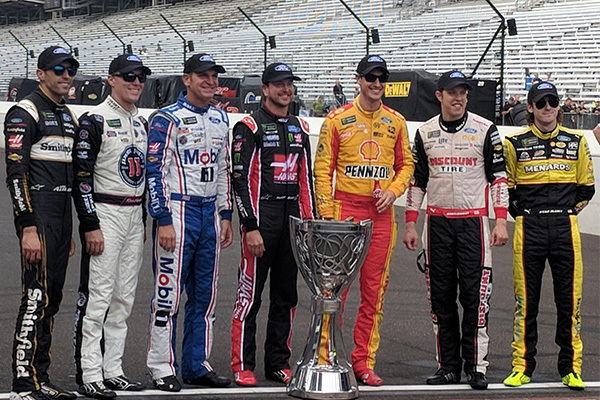 The rain delayed Brickyard 400 started in Indianapolis Monday afternoon with the Ford Performance teams of Stewart-Haas Racing and Roush Fenway Racing leading the way with Clint Bowyer winning Stage 1 and Matt Kenseth winning Stage 2 of the 400 mile race. It looked as though a win may elude Ford Performance again, but with a late race caution the field lined up for a final restart. Keselowski, positioned on the inside of the second row, with his 15 lap newer tires and a great re-start he began to reel in the leader. The No. 2 reached the rear bumper of the No.11 Denny Hamlin and dove to the inside to pull beside him with two laps to go. 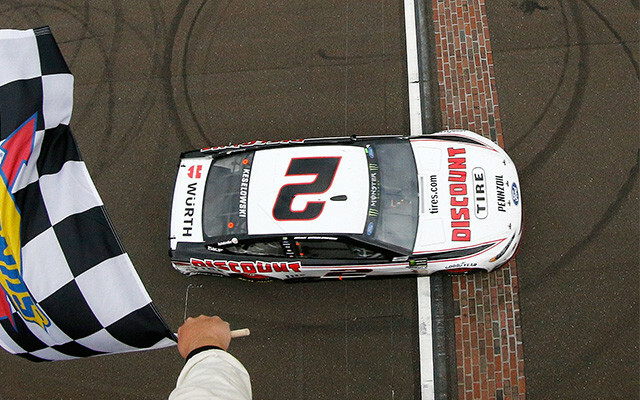 It became a drag race, but Keselowski took the white flag to lead the final lap of the race and win the 499th checkered flag for Team Penske. 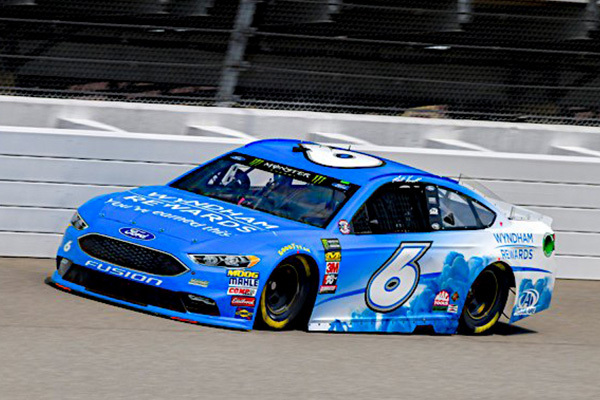 Five Ford Fusions finished in the Top-10; Keselowski (P1), Kevin Harvick (P4), Bowyer (P5), Kurt Busch (P6) and Paul Menard finished (P9). 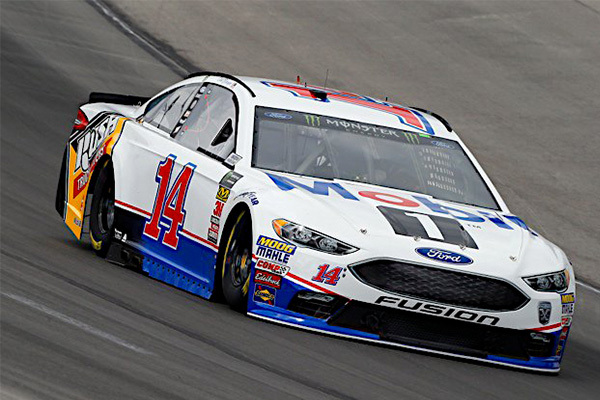 Ford Performance and Roush Yates Engines end the regular MENCS season with 13 wins out of 26-point races. The 2018 Playoff field is now set. 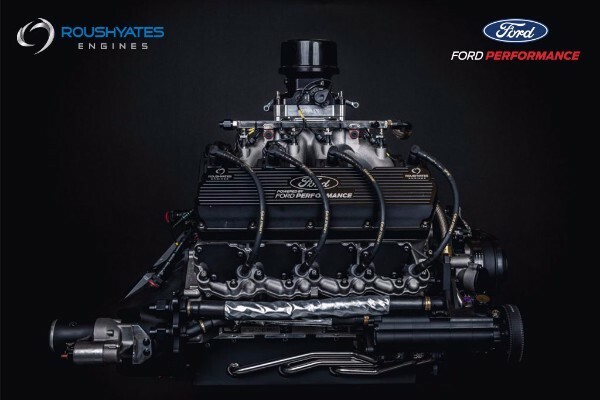 Seven Ford Performance drivers are locked in. Harvick leads the Ford field with 50 Playoff points. His teammates from Stewart-Haas Racing follow with, Bowyer (P5), Busch (P7) and Aric Almirola (P14). 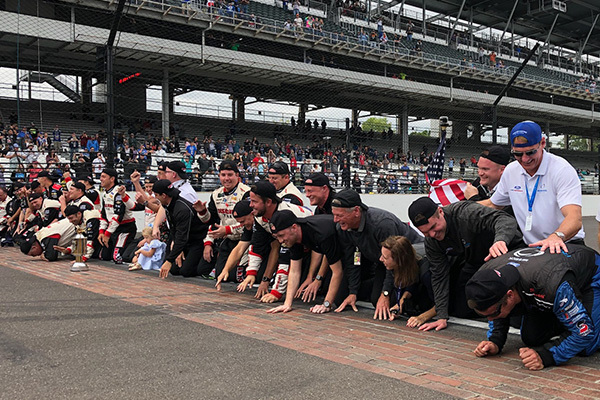 In addition, Team Penske teammates secured positions; Indy winner, Keselowski (P4), Joey Logano (P6) and Ryan Blaney (P9). NASCAR heads Las Vegas to kickoff the MENCS 2018 Playoffs this weekend while the Xfinity Series playoff field will be set. 14 CHAMPIONSHIPS – 346 WINS – 309 POLES!